I bought this during Guardian Beauty Days sale. All face mask & lip care buy 2nd RM1. It was last year. Almost a year already, baru nak review haha. It contains Hibiscus Extract, White Tea, Peony, Licorice Root Extract (brightening ingredient). The VItamin C used is Magnesium Ascorbyl Phosphate but I'm not usre what is the percentage. It comes in a 114ml jar with a black screwable cap. 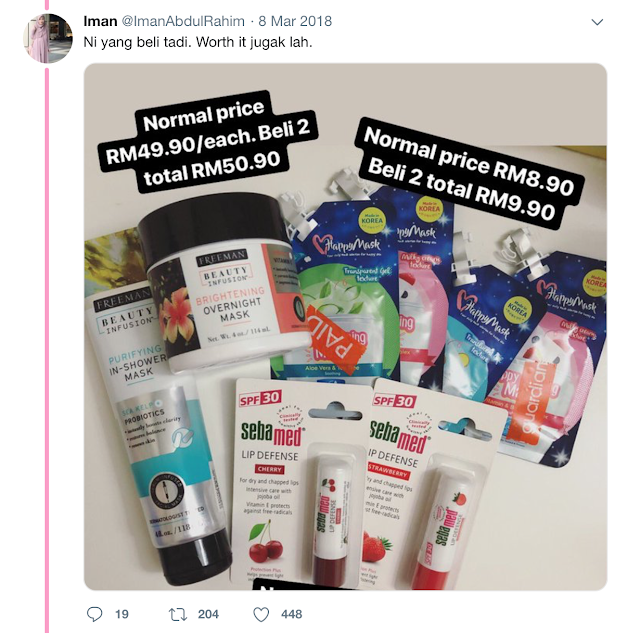 I don't really like the packaging since I prefer my skincare in a tube form sebab tak suka celup celup. Better use a spatula. The labels are printed clearly on the packaging so semua details and ingredients ada, senang nak tengok. Mild hibiscus scent which is quite pleasant and refreshing. 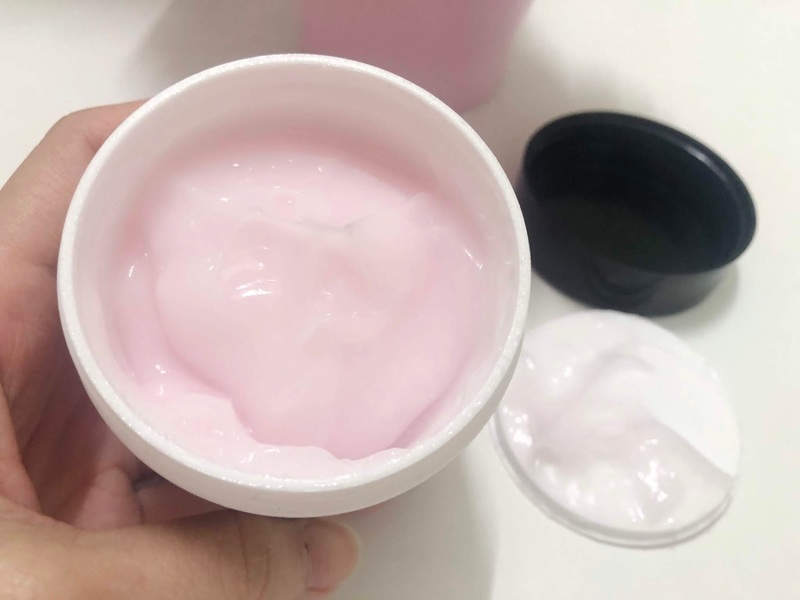 It has a pink gel texture which absorbs nicely into the skin. This is straight forward a brightening mask. 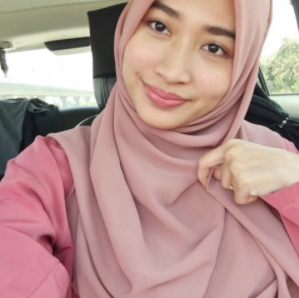 There's a few brightening ingredients which is good kalau ada masalah kulit kusam atau nak glowing. The texture is very nice and smooth, absorbs nicely into the skin. However, there is a burning sensation when I applied it on my skin. I guess it's because of the vitamin C or maybe other ingredients that makes my skin irritated. If your basic routine is strong and you want something for brightening, you might love this. Suitable for all skin type, it won't make your skin feels greasy atau melekit if you have combination or oily skin. If you have dry skin, you might wanna use a thicker moisturizer since this mask will not provide enough moisture for your skin.